Perma Trik is a very strong Integral water proffer for both concrete and plaster. The product is water soluble and forms the permanent ingredient of concrete and plaster to make them watertight for ever. Perma Trik increases workability and helps in achieving dense concrete/plaster. Perma Trik a small investment for building quality structures which need the least maintenance. 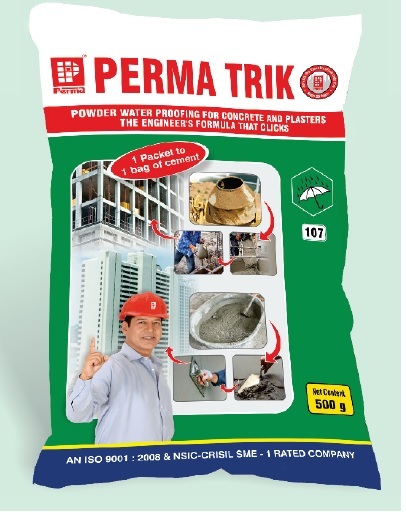 Packing : Perma Trik is available in 500gms pouch & in 20kg bulk packing.